Welcome to the Information Center for High Point Raceway – one of the premier motocross racing facilities on the national circuit! High Point is proud to host rounds of the Lucas Oil AMA Pro Motocross Championship, the ATVMX National Championship, and the Rocky Mountain ATV/MC AMA Loretta Lynn Area Qualifier. Since 1976, High Point Raceway, nestled in the scenic mountains of southwestern Pennsylvania near Mt. Morris, has challenged the world's fastest motocross athletes. Generations have enjoyed the thrill that only pro motocross fans can lay claim to. Its unique amphitheater setting offers premiere viewing from every aspect of the race course, making it a fan favorite among hardy moto fans and racers. 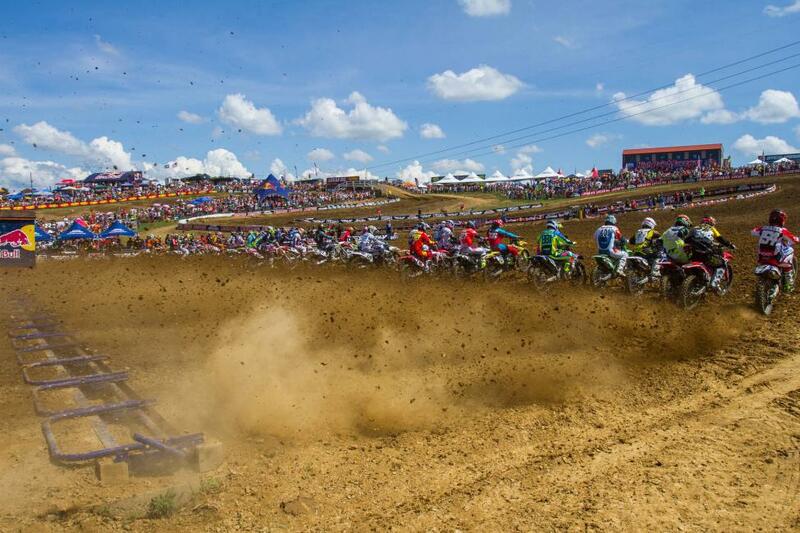 High Point hosts an extensive schedule of Amateur Motocross racing from spring to fall. Join us for an exciting day of racing in the great outdoors! Sep 24 2018 DC Vet Homecoming Contest Winners 2018 DC Vet Homecoming Vintage Contest Winners Sep 17 DC Vet Homecoming Returns to High Point Raceway September 21 - 23 The 28th Annual DC Vet Homecoming presented by Lojak’s Cycle Sales returns to Mount Morris, Pennsylvania this weekend, September 21 - 23, for three days of fun-filled racing and off-track activities. Sep 14 Moto 10 The Movie - Dates and Locations The world's most progressive and timeless dirt bike film franchise returns for the final installment of the Moto The Movie series with Moto 10. Sep 7 Competition Bulletin 2018-1: Rescheduled Dates for PAMX Fly Racing State Championship Rescheduled Dates for PAMX Fly Racing State Championship Jun 17 Lucas Oil Pro Motocross Championship Highlights: Red Bull High Point National The Lucas Oil Pro Motocross Championship, sanctioned by AMA Pro Racing, made its first trip east for the fourth round of the 2018 season from legendary High Point Raceway. Jun 17 Lucas Oil Pro Motocross Championship Results: Red Bull High Point National The Lucas Oil Pro Motocross Championship, sanctioned by AMA Pro Racing, made its first trip to the east coast on Saturday for the fourth round of the 2018 season. The Red Bull High Point National from High Point Raceway has become a Father’s Day tradition, and fittingly a pair of riders following the racing lineage of their fathers triumphed at the famed facility.